Today I attempted to draw someone's profile. I used my Paper by FiftyThree iPad app. 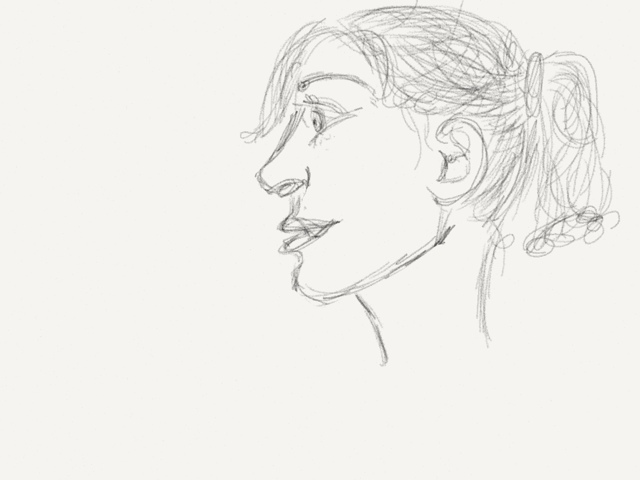 It doesn't quite look like the person I was sketching, but it's closer than when I began! And I'm proud of myself for trying. I've been avoiding my figure and face sketching, so I'm thankful to have broken the ice with it.